Chrisamor Goodie Jar : 5 Gifts for Mom & Dad! My mum has been craving hot chocolate lately, but has been getting lazy about putting on the kettle and waiting for the water to boil. 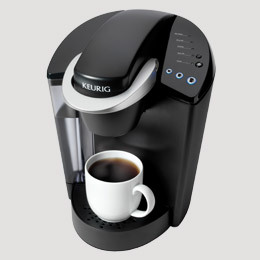 An easy solution this is to get a Keurig K-cup coffee maker. It's single cup use, literally no clean up and it takes about a minute to brew a nice warm or cold beverage. I think my mum would really love one of these. I've heard so many great things about this coffee maker all year. Not only is it fast, but there are tons of different flavours of coffee, hot chocolate, tea and other beverages, by a number of brands. Even Starbucks makes K-cups! You can find the Keurig coffee maker on the official Keurig website, on Amazon, or in stores like Bed Bath and Beyond, Kohls, Target and JCPenney. My dad loves music and the news. He especially loves to watch or listen to his beloved Cricket. Although he can be very tech saavy, he likes to enjoy the simple (and sometimes old-fashioned) things. 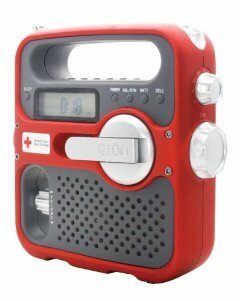 I think the perfect gift for him would be a portable radio like this one from Etón or this one from Midland, which are perfect for storms too. My brother also had one of these and my father was always fascinated by it. These are solar powered and there's a dynamo so you never really have to use electricity. 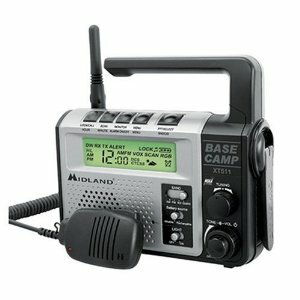 You have a digital display with an alarm clock, and you can use the tuner to find radio stations. Not only that, but there's even an LED flashlight, a USB charger for your phone and auxiliary jacks for headphones. So this is truly a multifunctional radio. I can definitely see my dad keeping this in the car in case of emergencies. My mum would love something like Zumba to exercise at home. I think she'd especially enjoy the dancing, so it doesnt even feel like exercise. Sometimes she can make quite a bit of excuses to not go out and exercise or walk after work. If you have Zumba or other home exercise methods, then when ever you're free or bored you could throw in some exercise. you dont have to feel uncomfortable because it's just you at home. Who knows, might even end up being a family thing! 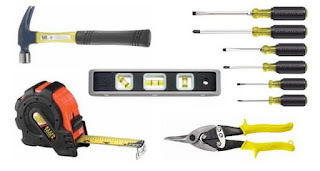 My dad is a carpenter and is also skilled at a number of handy trades. He's always in the hardware store picking out a new tool or something. Here in Barbados, some of the hardware stores allow you to sign up for a royalty card that you could use the points to purchase items from the store. Carter's General Store Barbados is like that.You could sign up your dad for one of those royalty programs in his favourite hardware store, or better yet get him a gift card to shop there, so he can treat himself to a new tool. I know my dad would love that! Finally, a gift that both your parents would enjoy, Relaxation. 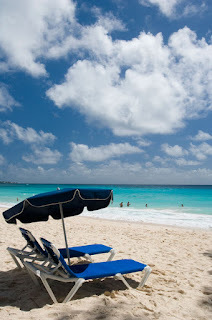 I think a Staycation as we call it here in Barbados would be great, because your parents would get to kick back and relax as the hotel would take care of their every need. Or is a hotel is a bit too pricey, you could give them a certificate for a Spa day, where they will be pampered all day and would be able to relieve some stress. Groupon always have spa deals, soit doesn't have to break your pocket to give a great gift. And for us here in Barbados, staycations have special rates for locals during certain months, so you can get a nice vacation for a more affordable price. Another great option is to treat them yourself again home. You could make them breakfast in bed, a special meal, or give them massages. You can even take them out to a special dinner. It all depends on what your parents appreciate and what you can afford. I'd love if you'd tell me what you get or are getting your parents for Christmas. If you were a bit clueless, I hope this guide helped. Stay tuned for more I should have at least 2 more of these up before Christmas eve.